Recently, Liz Strauss (the Goddess of the Blogosphere) challenged those of us who blog to generate meaningful metaphors to explain blogging to those who do not blog. 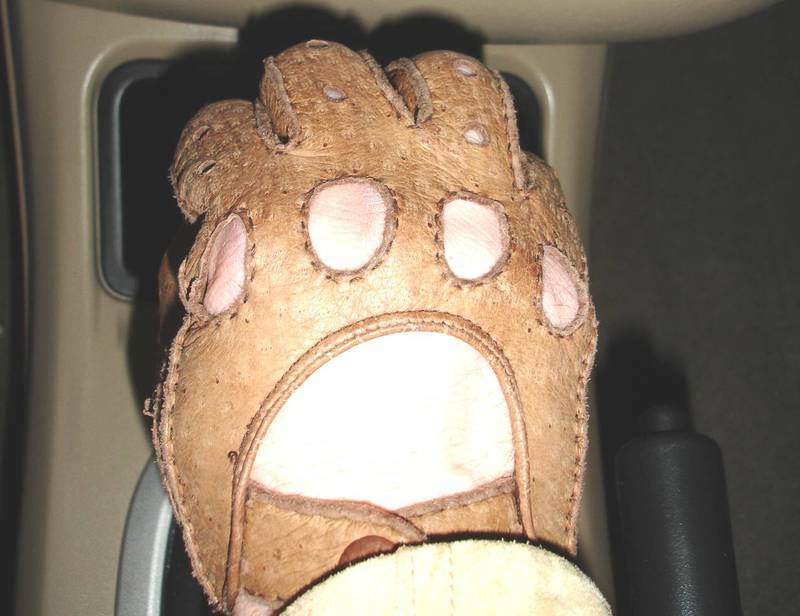 If I had to set up a good analogy, it would be that blogging is like a high quality pair of driving gloves. Like a good pair of gloves, blogs have many different fingers that can go in multiple directions at will. We write about drag racing, painting, branding, communication, friendship, life, accomplishment... you name it. However, just like the fingers of a glove, regardless of what direction our writing takes us, we're still all connected. I chose driving gloves over "regular" gloves (i.e., those worn for warmth) for a reason. If you've ever worn a pair, they are generally unlined and ventilated, which helps keep dexterity on the steering wheel and gear shift without compromising comfort for the wearer. Similarly, blogs are really just a thin veneer of the person "wearing" them. We use blogs to drive our sense of reality, to steer our perceptions of an ever-changing world, to shift the gears of our paradigms, and (simultaneously) to maintain our own comfort and control during the long road of blogospheric travel. As a quality pair of leather driving gloves will eventually conform to the hands that wear them, our blogs conform to our "size" as well, reflecting our moods and beliefs as if we've been wearing them for years. Finally, blogs are like driving gloves for another reason: they're useless unless they are on somebody's hands. The blogs that are nameless and faceless generally may get a polite nod, but when they have that human touch inside of them, you can go from zero to 60 in no time flat. So VROOM, VROOM and Carpe Factum! Way cool! I'm going to have to send Sheila Scarborough over to read this one! Vroom! Vroom! Yeah!!! Very interesting metaphor Tim. I'd have never thought of that one. And great photo too. Vroom vroom! Hmmm... maybe VROOM VROOM should be my new blogospheric sign off. Fun exercise, Liz... thanks for suggesting it. Phil and Sheila - glad I could pull you into a little "link love" in the process. Wow! Great blogging metaphor. Well written - as all your posts are. I'll have to put my thinking cap on. This is very fun. Sandy - thanks, and it was a fun project. Troy - thanks buddy. High praise coming from you! Nice metaphor. The message to "occupy" your blog is particularly good. I like the idea that a blog needs the human element, the personal element to succeed. I don't know why I like doing things wearing gloves. Its just that I get the comfort that I need when I wear it.